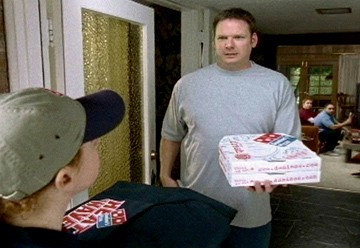 If you watch any TV, I'm sure you've seen Domino's latest ad campaign. They basically talk about how disgusting their pizza used to be and how they dedicated themselves to improving the product. Now that they've improved it, they of course want to make sure everyone has tried the revamped product. I thought that this was a pretty brilliant marketing strategy: we admit we use to stink, here's how we improved, and now you should try us out again. When you are trying to implement Lean into a company that's had failed continuous improvement programs in the past, the Domino's strategy might not be a bad way to go. Admitting your flaws, showing that you've learned something and demonstrating that you've rededicated yourself to the cause is quite powerful as a training tool. Our site has been through failed iterations of Lean and Operational Excellence in the past 10 years. They failed, in hindsight, for pretty obvious reasons. When we relaunched the initiative a couple years ago, we gave everyone at the site a lean overview class. One component of this class was very similar to the Domino's strategy. We admitted our past flaws (not involving all the people, trying to take action before planning properly, etc) and showed them how we've started to change (using recent successful projects). The fact that we were admitting our mistakes so honestly opened a lot of minds and made changing the culture a possibility.